I have been patiently waiting for The Lodge to open ever since I first saw their awesome billboard posted outside during the dead of Winter. 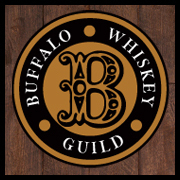 Winter came and went, as did Spring, and then Summer, until finally whispers of the bar’s grand opening began circulating on the interwebs. I had been closely monitoring their progress on Instagram and Facebook, getting sneak peeks here and there of ever little detail going into the bar. 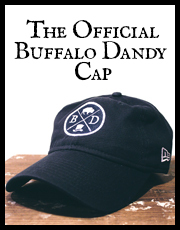 Finally, after months of waiting, The Lodge hosted it’s first Unveiling Gala and Buffalo Dandy was fortunate enough to be on the guest list. All I can say is this: it was definitely worth the wait. 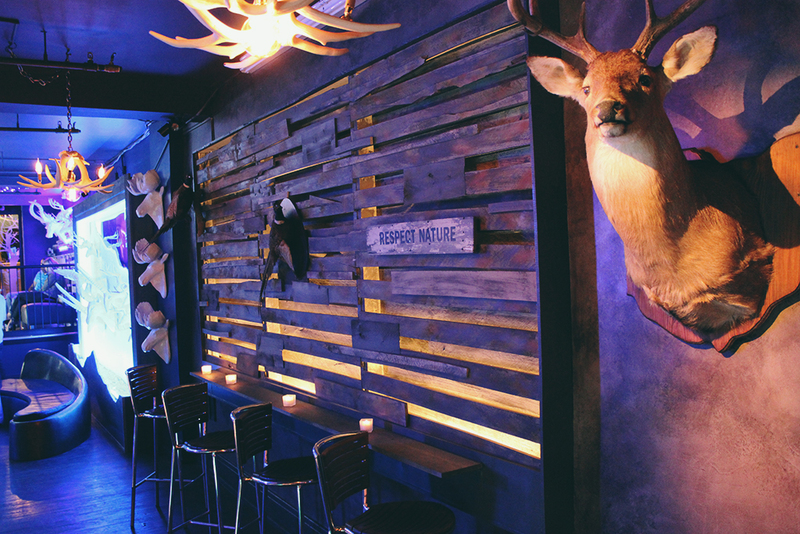 One of the main reasons I was so excited for this bar was the rustic, Adirondack feel the bar was rumored to have. 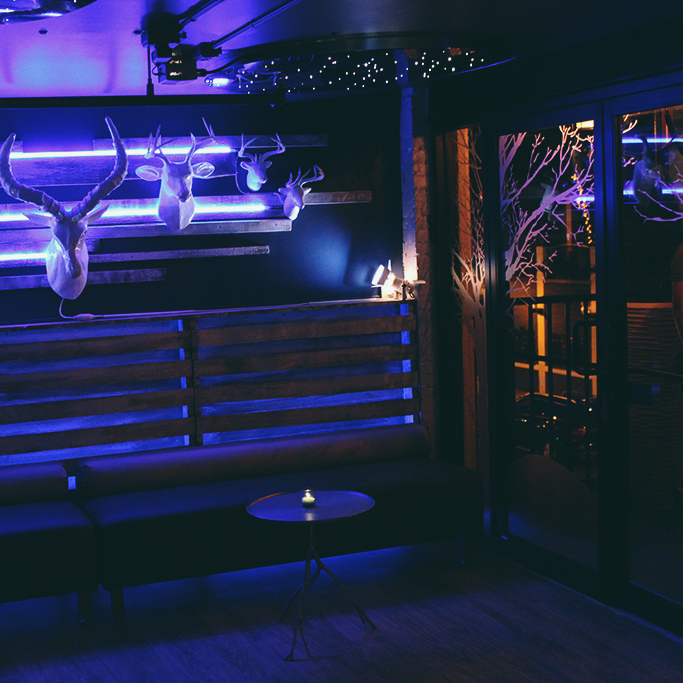 It was certainly a design aesthetic that is not often seen in Buffalo and from the get-go instantly sets it apart from other bars. 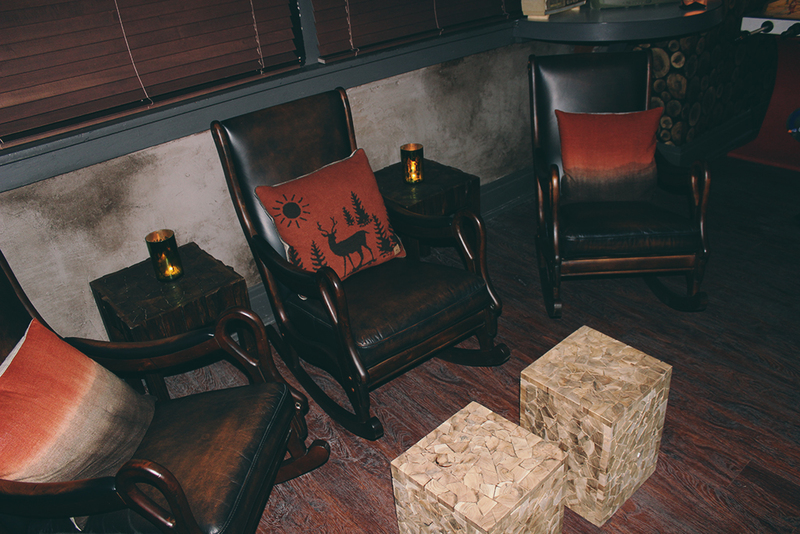 The Lodge, however, was more than just a rustic looking bar… It was more like The Adirondacks meets Las Vegas. A rustic-inspired decor, but lined throughout with multi-colored neon lights and enough nooks and crannies just begging to be explored. Perfectly themed chachki items are placed throughout the bar which meld perfectly into their surroundings so not be obnoxious. While there is a lot going on inside from sensory perspective, everything seems to tie into each other nicely and it all comes back to a “Lodge” feel. The main stage when you first walk in is perfectly thought out. Used during lunch and dinner hours as a seating area, it can instantly be transformed into the main stage for a band, dj or dance floor at night. The main bar is incredibly long, running almost the entire length of the floor space. 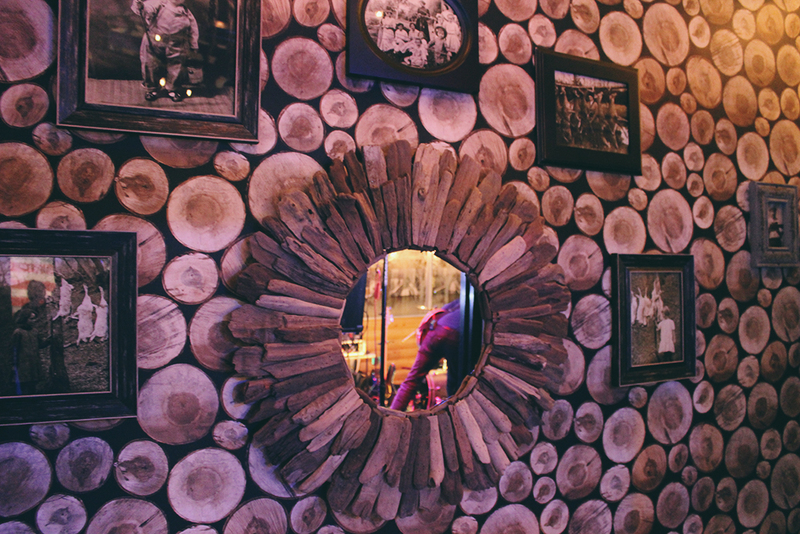 The Lodge theme is carried throughout with antler chandeliers, birch trees, wooden sculptures and trophy mounts of every shape and size. 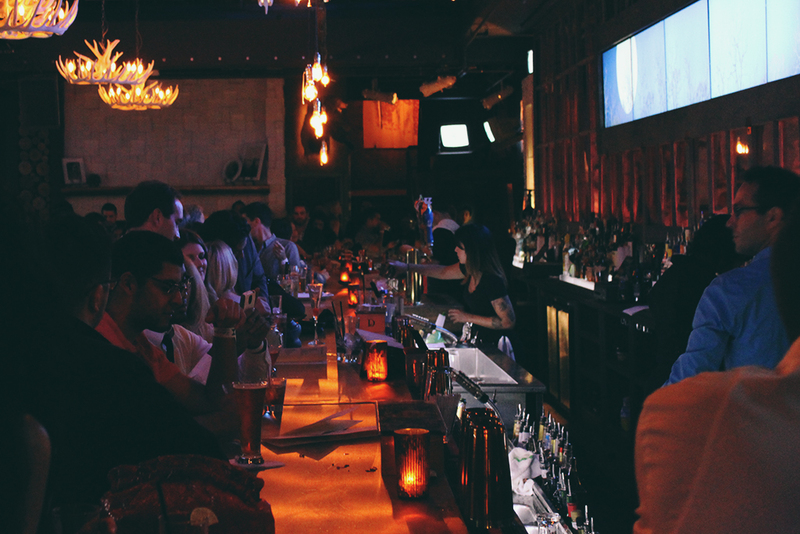 They boast an impressive bar menu with several local breweries, unique specialty cocktails and plenty of unique beers on both tap and bottle to keep things interesting. 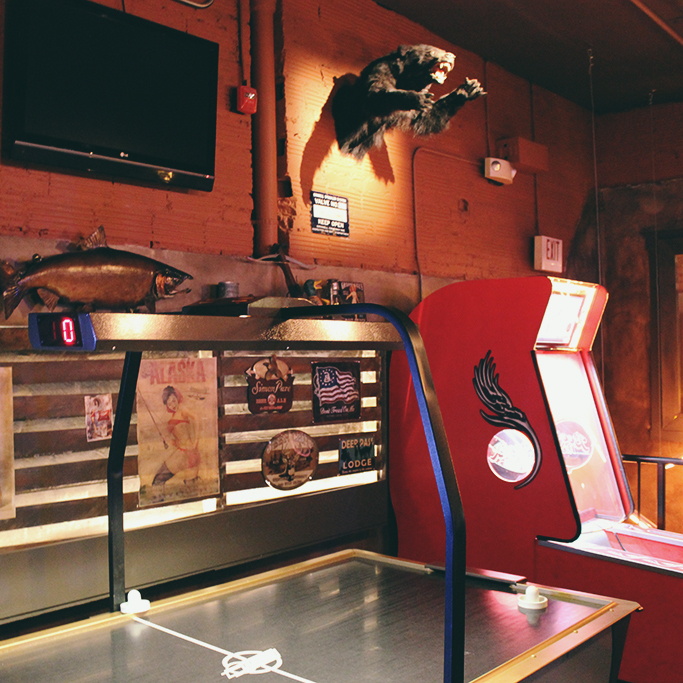 As you make your way upstairs you enter their impressive game room. 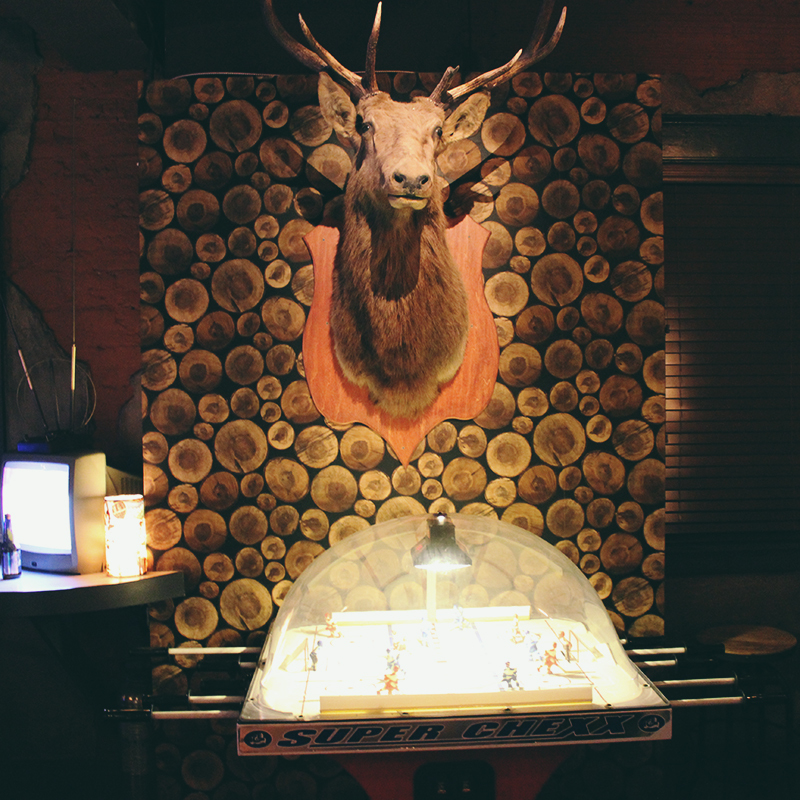 Filled with skee ball, air hockey, Big Buck Hunter, billiards and of course the Buffalo staple: Bubble Hockey, the place is like the perfect man cave. There is plenty of room to play, but I can imagine it getting pretty tight in there when the place inevitably gets packed. Luckily, comfy rocking chairs are provided for patrons to wait their turn till next game. 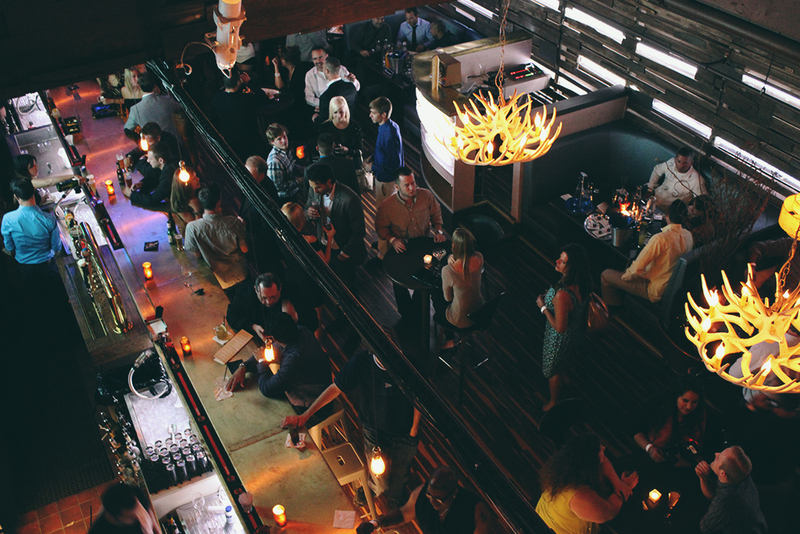 As you walk along the open edge of the second floor you get an impressive birds eye view of the bar below. The decor makes another subtle change as it transforms into something out of Clockwork Orange. 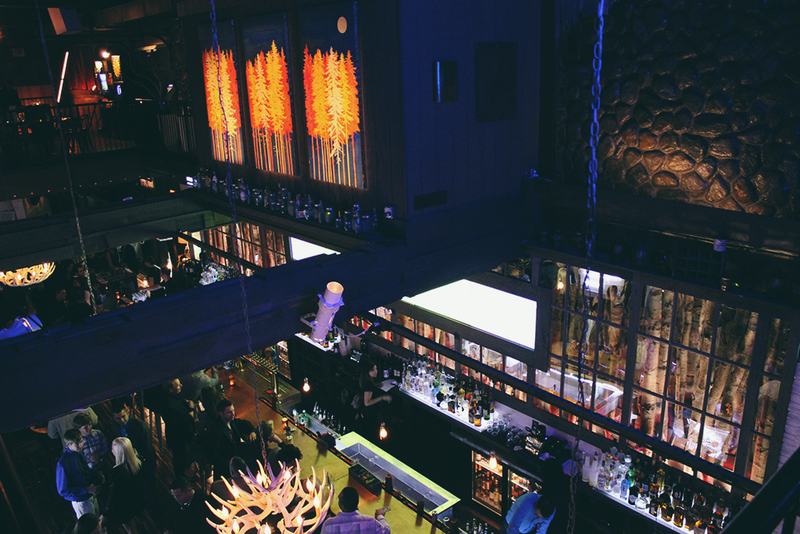 The trophy mounts suddenly morph into purple neon-lit ceramic sculptures watching over the modern second-story bar. The perfect get away when young party goers have had enough of the rustic theme and want something a bit more modern. This space can also be closed off for private parties of which I was told The Lodge already had several booked well into the next few months. Lastly was the food… I almost forgot that The Lodge is a restaurant as well! 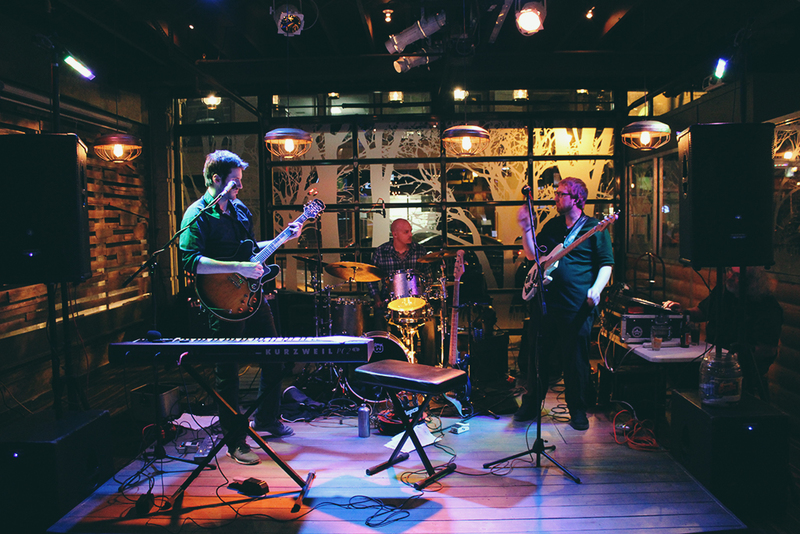 Looking to distance themselves from places like Bacchus who offer a more quiet atmosphere, The Lodge is looking to appeal to both the young professional looking to go someplace cool, as well as the older Chippewa crowd that is tired of the 18-and-over dive bar scene. The Lodge, I must say, achieves this balance perfectly. 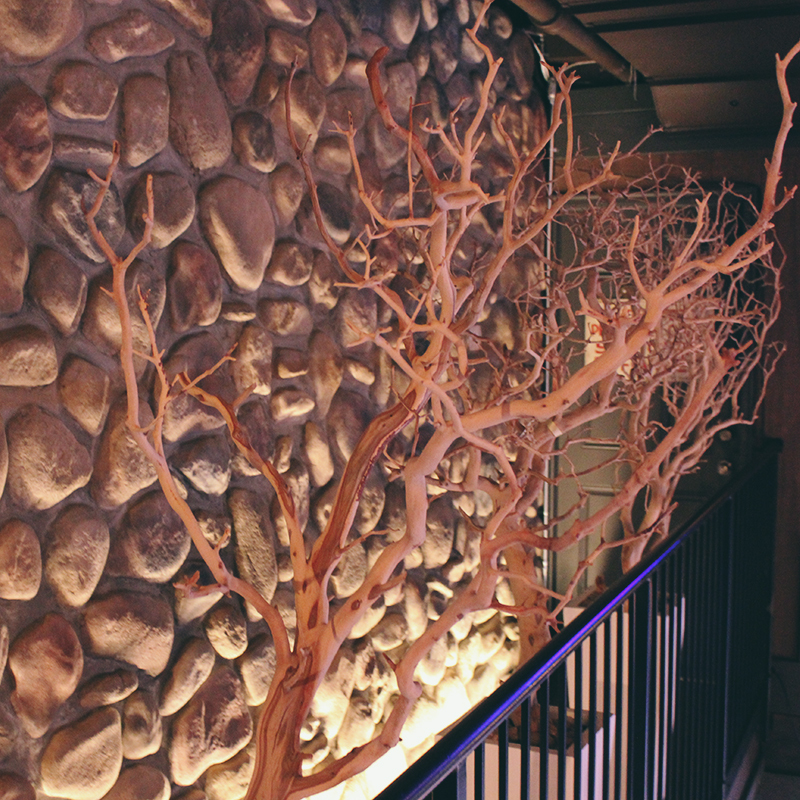 The place is modern and unique enough to appeal to a wide array of clientele, not just with the atmosphere, but with the food as well. A lot of time and effort went into the menu here with plenty of familiar items but with a clever twist to them. 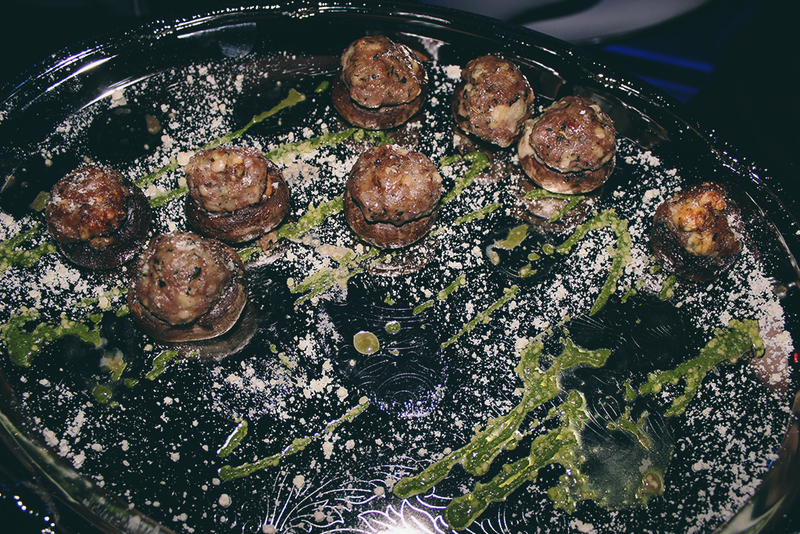 Presentation plays a big part here, as seen from the stuffed mushrooms which I loved, but one of my absolute favorite items was their dessert. 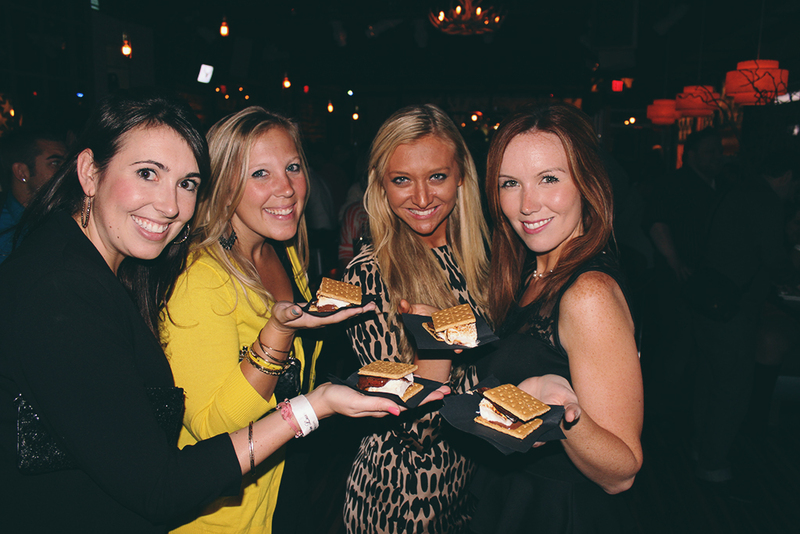 S’mores, which are a dietary staple in the great outdoors, are being offered as a dessert option! These aren’t your normal every day variety, either. These bad boys are MASSIVE! Ensuring that if you weren’t already full from dinner, you certainly will be after dessert. I want to thank The Lodge for inviting me to their Unveiling Gala and I highly recommend checking it out once it opens. 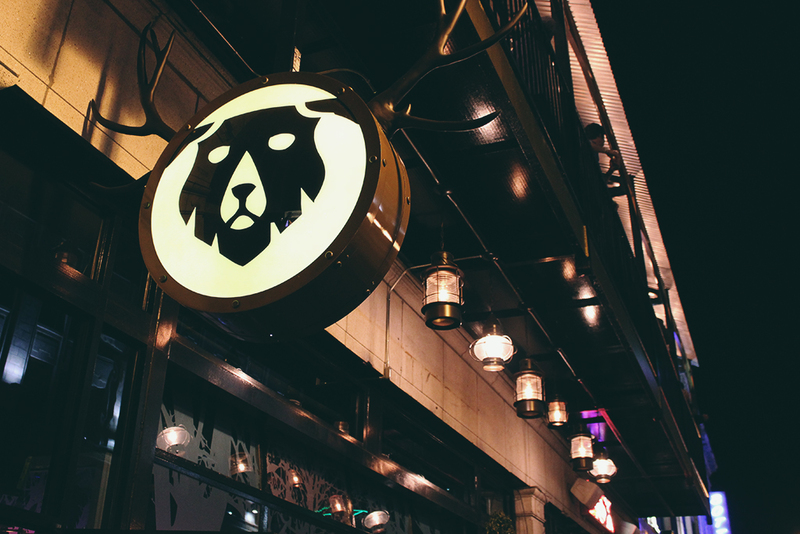 This place will absolutely play an integral part in transforming the downtown Chippewa area and I can’t wait to see what the future holds for The Lodge. Excellent article, place looks great! Can’t wait to check out The Lodge…it looks fantastic! Stumbled upon your blog today. Love from one fashion-loving Buffalonian to another. Thanks for the comments Lindsay. Just checked out your blog. Looks great! If you are reviewing a bar, restaurant, or anywhere else that people may want to go I find and address comes in handy…. Thanks for the comment Gneil. That’s why I always include a link to the website of the place I’m reviewing which usually contains that information. I’ll be sure to include them in the future. Thanks. I usually try to avoid Chippewa at all costs but this place looks great! I’ve recently stumbled upon your blog and I love it so far.